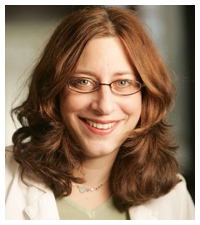 Dr. Jessica Friedman grew up in Philadelphia, Pennsylvania. Following graduation from Columbia university, she attended Temple University School of Medicine and graduated in 1994 with an M.D. She completed her residency in Obstetrics and Gynecology at Abington Memorial Hospital in Abington, PA.
After completion of her residency she moved to Eugene, Oregon and worked at the Center for Women’s Health at Oregon Medical Group for 13 years. She then worked at volunteer Executive Director for Wellmama, Inc, a non-profit group which offers support to women and families struggling with perinatal stress and mood disorders. She opened Grassroots Gynecology in 2012 to fulfill her dream of treating women of all ages with gynecological concerns. She is honored to be able to educate women about their bodies and their health, from issues involving puberty to the physical and emotional changes that occur as we pass into the menopause years. Dr. Friedman and her husband (a native of Cottage Grove) are raising three children aged 17, 15 and 11. When not busy with all her children’s activities she enjoys running, hiking and reading mysteries. 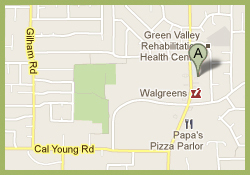 Dr. Friedman’s practice focuses on general gynecology, patient education and empowerment, and preventive care. She has a special interest in adolescent health, menopausal medicine, sexual health, vulvar skin diseases and pain syndromes.